Connected navigation bridges the gap between traditional navigation software and the needs of urban users with a universal, seamless experience across their car and personal devices, delivering user inspired connected services that not just satisfy, but also augment their modern lifestyle, entertainment and social needs. 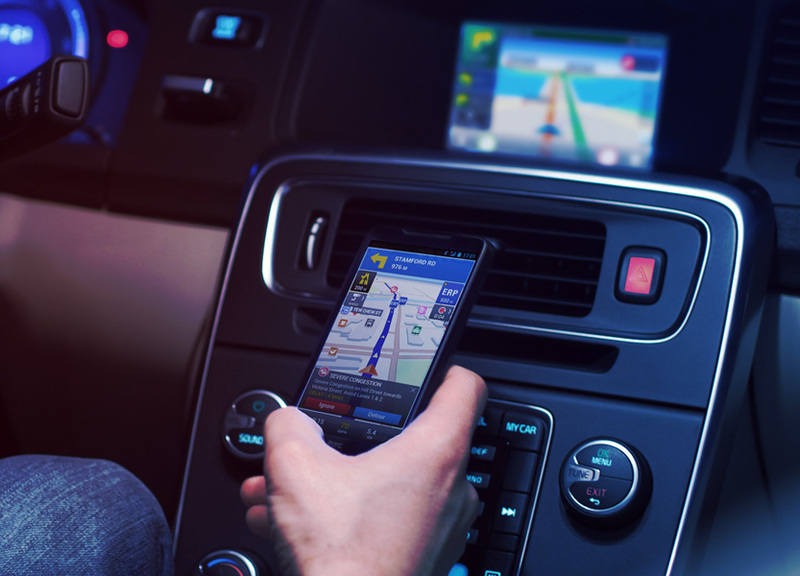 Galactio Mobile app for ioS and Android offers seamless navigation experience while on road. The user-friendly advanced navigation features provide you fastest routes to reach your destination, predictive search capability and offer personalization with options to save favorites and places you frequent the most. Our real-time traffic updates keep you informed on traffic-optimized routes, toll routes and rates, driver alerts, weather information, road incidents and more. Galactio-In-Dash gives drivers easy access and control of a full range of navigation and search services, so they can enjoy a hassle-free driving experience. Available for on-board units (OBU) as well as personal navigation devices (PND) and aftermarket equipment, Galactio offers drivers quick access to convenient routes, favorite locations, traffic updates and weather information at the touch of a button. The in-dash devices can easily be synced with the mobile application for a seamless experience. mapSYNQ is a multi-region (Singapore, Malaysia, Thailand) traffic and maps application that offers live traffic camera images, traffic incidents, ERP (toll) rates and even forecasted tolls and travel times. It also enables syncing information across all the registered user devices as well as personalization features such as favourites and calendar synchronization.